──How did you come to apply for our Department of Arts Studies and Curatorial Practices at TUA Graduate School of Global Arts? Since I came to Japan as a foreign migrant worker in 2002 for the first time (unfortunately not as an artist with its accompanying privilege), I became fascinated by the practices of some contemporary local activists and artists that blur the line between politics and culture. I had the chance to participate in their events (after work) and befriended most of them. My interest in social practice was further developed through their inspiration. So, I decided to pursue a postgraduate study related to my interest and one of my friends pointed me to the new graduate program offered by Tokyo University of the Arts Graduate School of Global Arts. ──What motivated you to decide to apply for our Department and to choose your major field of study, ie, Research? My marginalized position as a foreign migrant worker and the inspiring politico-aesthetics of an ungovernable network of local precariats motivated me to study the potentialities of contemporary and diverse minorities coming together through direct contact. I believe that the field of Research gives leverage to this motivation and its potentialities. ──How did you come to be interested in art/music? When I was little, I loved to draw. As far as I can remember I started scribbling on the walls of our family’s house before I learn to draw on paper. I came from a lower middle class background because my parents were both non-tenured professionals in the Philippines working in different local government agencies (before they migrated to the city capital and found a lucrative job abroad). My parents tolerated my drawing habit until that is, I developed an interest in art. They didn’t like it. ──What kind of studies did you carry out as an undergraduate? My parents wanted me to study Architecture because of my drawing skills and its high probability in ensuring me a regular job. Studying Architecture at a State University in the Philippines, especially in the province of Leyte, is not good. We didn’t learn Art and Design which are important to the basics of Architecture. The school library, however, had a great collection of Western and Philippine Art History books that nobody reads. I stopped going to classes, and instead, I spent my school days in the library reading and researching until I decided to study Painting. My parents didn’t like my decision but I went on to study Painting anyway. I earned my degree in Studio Arts at the University of the Philippines College of Fine Arts in Diliman, Quezon City. For my graduation degree, I also received a special award for my undergraduate thesis, which pushed the boundary of studio art practice towards social practice in art – overturning a hermetic studio to a social laboratory. A detail photo of Pairez’s BFA graduation project, an installation piece entitled “Dystopic Future Memory (2014)”. 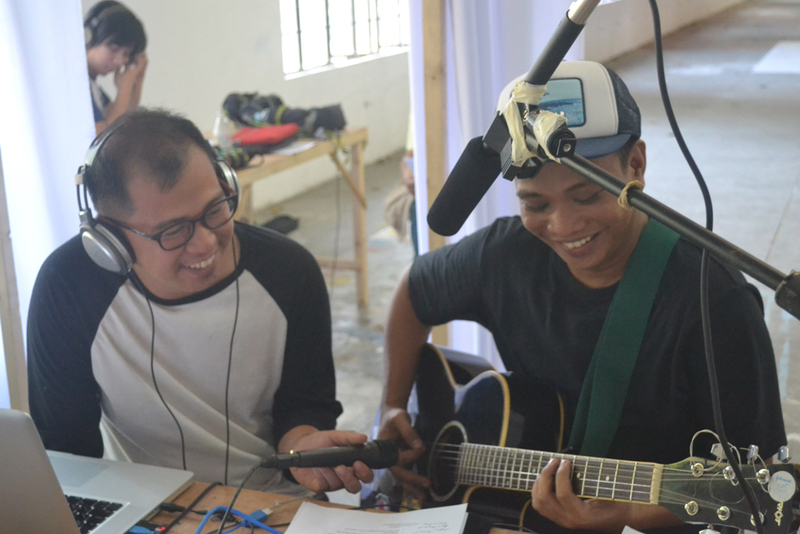 It included a make-shift social laboratory, a pirate radio station and a copy center set up in the studio art gallery of the University of the Philippines College of Fine Arts. ──What kind of studies, researches and practices have you been conducting at our Graduate School? 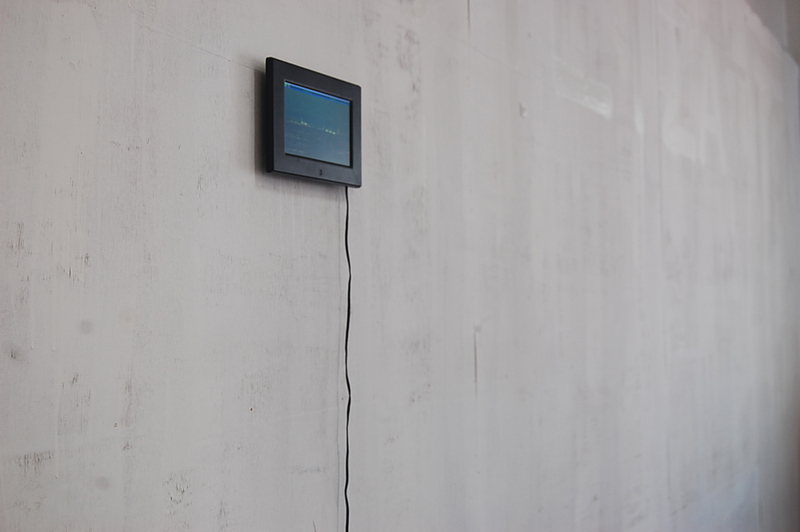 concerned with exhibition-making, and for this experiment, I use radio broadcasting stations as laboratories for constructed situations. Through the Research laboratory of Professor Mouri and Curation laboratory of Professor Sumitomo, I am hoping to develop a different curatorial practice that embodies the principle of togetherness, differences, conflicts and negotiations. ──What are the most impressive classes/curriculum or those you have been attending with your most earnest passion? All the classes are impressive, especially those in Art Management, Curation and Research modules. 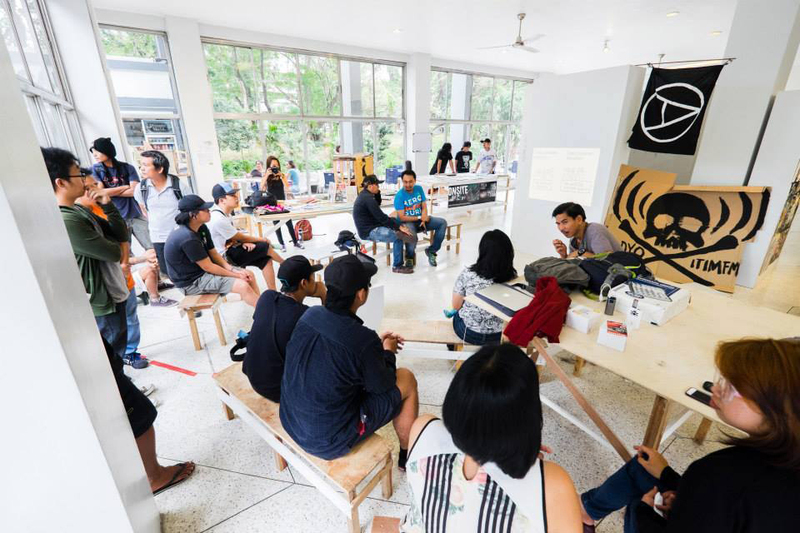 The professors’ approaches are of cutting-edge and crucial to contributing to student’s’ grasp of continuing developments of various contemporary art practices and culture making around the globe. ──Please elaborate if you have any other activities outside of the School, which you have been coping with with a strong motivation? I am helping to realize two exhibitions – one in Bangkok and the other in Manila before the end of this year. These two exhibitions are both small projects that operate in the principle of working-together – a process that requires negotiation and conflict. They are an auxiliary part of my curatorial practices, which I am currently developing in writing my Master’s thesis and implementing my Master’s Course Special Research Project. ──What future paths do you want to take? Please tell us what you are especially keen on realizing in future. I am planning to continue my studies at PhD level, and would like to teach contemporary art and to curate exhibitions. 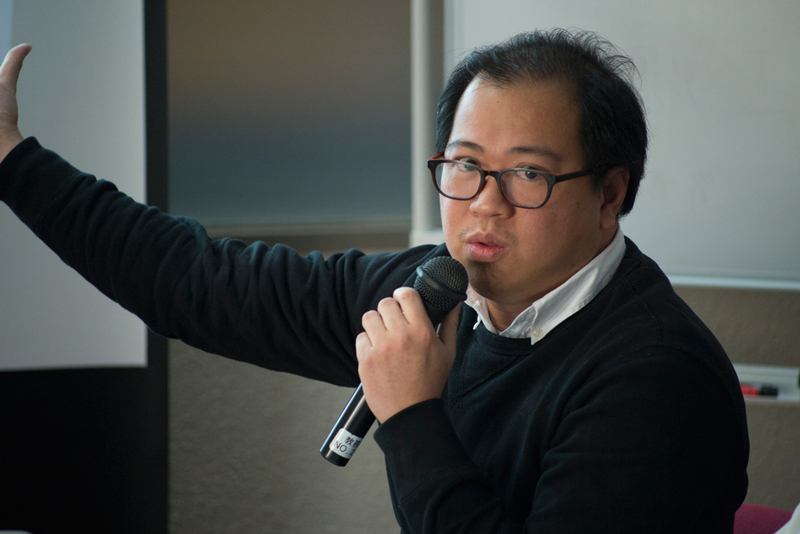 Then, I hope to contribute to the development of artistic research in Southeast Asia, and especially by researching and discovering how “para-curatorial” practices works, that are unique in the Asian region.